1. How to get the best of your homepage design ? 2. 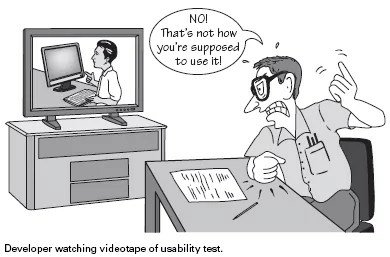 Why, When and How conduct usability testing? Like in the 1st article, I’ll try to briefly expose what should be remembered from this book. It may not be 100% loyal to the book, 1st because of my interpretation and 2nd because I also express my own point of view. Even if your homepage is not the first page that user will get through – it’s commonly known that an entry page is not always homepage, and the less it is the better as your landing page should be reflecting the path the user used to access your website. Anyway, the homepage is still the page a user will go through during the navigation to have an overall impression, to look for guidance, to restart his navigation… That’s mainly why you need to make sure that on the homepage, people get it! – what is this site? – what do they have? – what can I do here ? – why should I be here and not somewhere else? The design of a website especially the homepage and main pages could be a very frustrating and conflicting process. Each team: design, IT, marketing, stakeholders, CEO… want to be a part of it which is certainly a good thing but when you get to a conflict of opinion – which may happen on every feature, every pixel, every color… “who hold the truth?“. Hopefully, I can answer to this question : “Nobody” pfiouuuu, that’s a relief! – if you think that web users will use your website the way you build it for: you’re wrong! – if you think that you are objective (and you’re better not be…): you’re wrong! – if you think this is useless: try once with neighbours, friends or anybody to browse the same website (with a similar goal for all : like buy a pair of Nike on Ebay for instance) and watch! You’ll be amazed! Usability testing is a technique used in user-centered interaction design to evaluate a product by testing it on users. This can be seen as an irreplaceable usability practice, since it gives direct input on how real users use the system. + most of all here the Steve Krug’s guide to conduct your testing. 1 rule that I think would be amazingly great, useful and revenue oriented: “Each web dev team should make once morning a month a usability testing and debrief over lunch”. To conclude about usability testing, I think it’s really a great tool to increase user satisfaction and thus revenue, which finally is the goal in a ecommerce website :). Using usability testing is one tool among others, like AB Testing, Focus group, Card sorting… but each tool have a “perfect timing” during the process of building or enhancing your website. do not hide informations from the users: anything you would want to hide thinking that you can “trick” the web user in filling in registration form first, hold it! – do everything to make the web user navigation on your website easy! Accessibility meaning that people with disabilities can use the Web is considered as part of usability. I’ll not dig into too many details for this part as there are already a lot of guidelines online about this subject and the rules to follow. That’s it for today (and for the book also)! 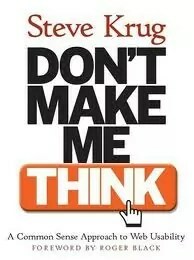 You can go on with reading the following book of Steve Krugs “Rocket Surgery Made Easy” (focus on Usability Testing) and also follow his work on www.sensible.com. From my point of view, this book is a good reminder of a lot of usability guidelines we easily forget and also a great great guide to do some usability testing! I hope this will help you too and lead you to pick some tips, buy the book or conduct some usability testing!